"We are therefore formally of the view that when it comes to proof the prosecution cannot meet the required standard of proof." how could this guy ever been convicted at the magistraigtes court ? if the rspca eveidnce was poor at the apeal. 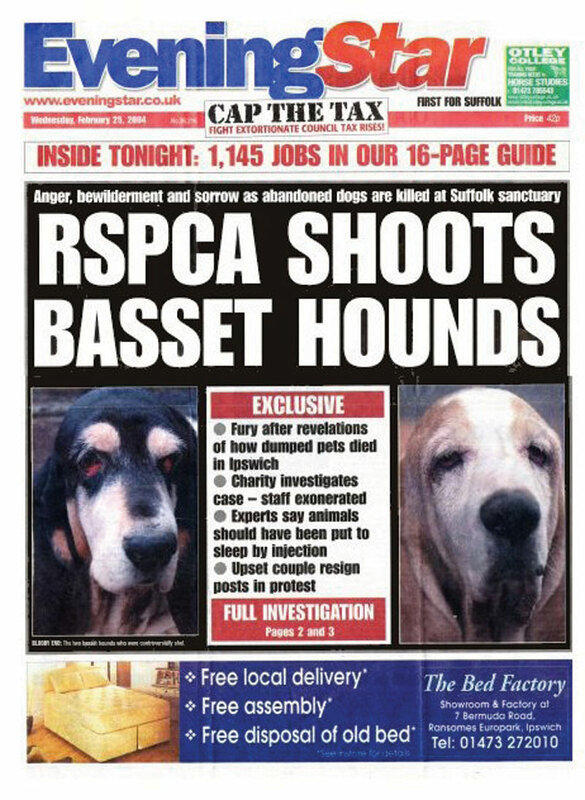 why didnt the rspca carry out a post mortem on the dog ? perhaps its because they knew the findings wouldnt support their case. It seem that a lot of elderly dog and cat owners are being targeted by the rspca, as a caring animal welfare organisatiuon how does it sit with their principles that they seem to advocate killing animals as soon as they reach a certain age ? SENIOR Councillor Paul Shotton won an appeal against an animal cruelty conviction and sentence. Shotton was yesterday cleared of causing unnecessary suffering to 13-year-old labrador Baron. Last November he received two-year conditional discharges and was banned from keeping dogs for the same period after being found guilty at North Staffordshire Magistrates' Court. But yesterday judge Mark Eades, sitting with two magistrates at Stoke-on-Trent Crown Court, said evidence from veterinary pathologist Dr Udo Hetzel cast a new light on inferences from the first case. Dr Hetzel, who carried out a post-mortem examination on Baron, said the dog had a heart condition and had a "sudden event" after the Shottons left him to go on holiday on Saturday, July 15, 2006, and before the RSPCA inspector found him. Judge Eades said: "Dr Hetzel said the factual accounts could all be true and the dog could have had a sudden event. That could have been precipitated by heart problems and heart failure and therefore the inference the prosecution has been asking us to draw – that Shotton had been telling untruths – is not the case. Dr Hetzel had also said the degree of suffering was not serious and would not reach the level of significance to amount to an offence. After the judgment, councillor Shotton, aged 48, released a statement. It said: "I am pleased that after two-and-a-half years I have been cleared of every one of the RSPCA's allegations against us. "At the original trial the rspca claimed that our much loved family pet Baron was emaciated and dehydrated. He was not."